Oppam Directed by ace director Priyadarshan released today starring Mohanlal after the success buzz of Janatha Garage and Vismayam. Priyadarshan after a long gap is changing his path to thriller from comedy in this much awaited drama thriller. Oppam tells the story of Jayaraman-a blind guy who is running errands at a flat and is a close friend to the inmates in it. Because of his brilliance in identifying people and solving problems some people even doubt that whether Jayaraman is actually blind or just he is pretending it. Movie starts with Jayaraman’s family issues, his blindness and how he manipulates people with his abilities in listening to the sounds and believing in his natural instincts or a blind man’s true intuitions. Story gets an u-turn (a predictable one though) when a retired chief judge is murdered at the flat were Jayaraman was working. Before the murderer flees the scene Jayaraman happens to be there and literally identifies his presence. From there story revolves around the cat and mouse game between a blind helpless common man and a treacherous, cold blooded psychopath. A predictable story with out much unexpected twists and turn cut downs the pace of a thrilling plot in the second half. The interval scene, the scene at the police station and the telephone scene itself gives you goosebumps because of good direction, nice performances, pleasing background score and good cinematography. Priyadarshan successfully transforms the blind helpless Jayaraman to a man of determination through out the second half of the movie when his true intentions were questioned . 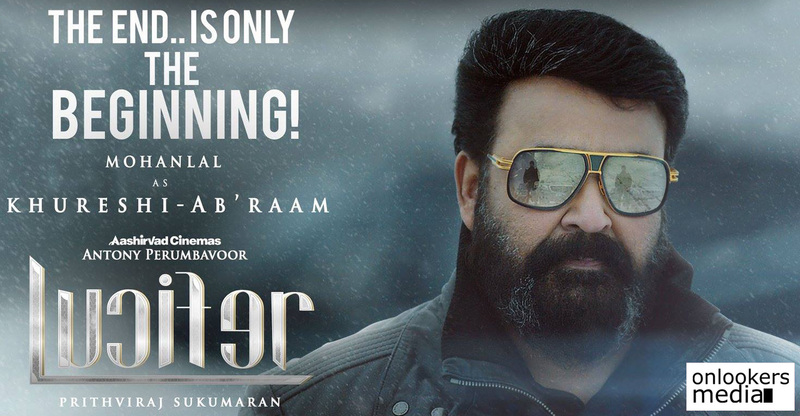 Needless to say that Mohanlal as Jayaraman performed very well and did justice to the role. 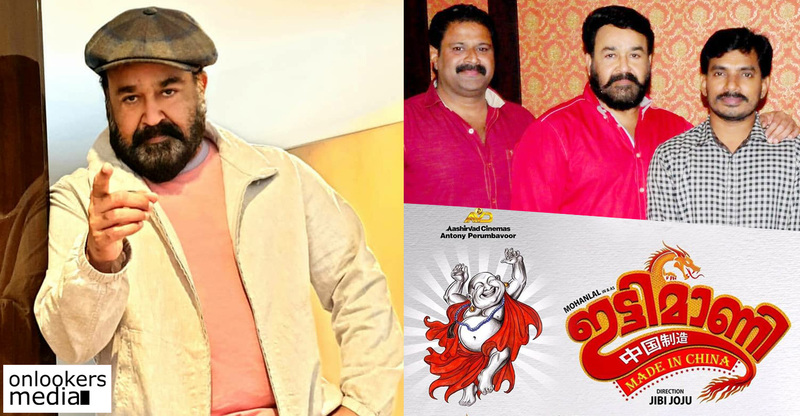 Characters are always safe with Mohanlal but sometimes his story selections goes wrong only . 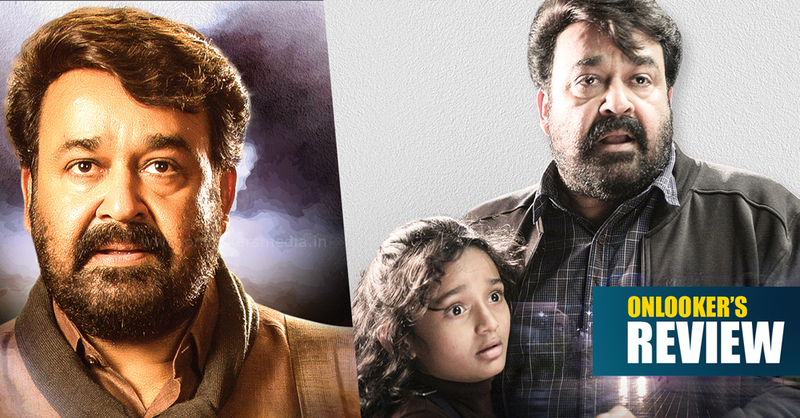 Priyadarshan succeed in bringing up a different theme and different Mohanlal from his previous outings as an actor. Other actors like baby Meenakshi Anoop, Samuthirakani, Aju Vargheese, Mamukoya, Chemban Vinodh, Anusree and Renji Panicker also performed well even though their characters were like some normal people among the whole crowd. Vimala Raman is the only choice of Priyadarshan that misfired in Oppam . Her appearances to performance as a housemaid stood away from all the good words to describe here. Priyadarshan mixed up the story with enough thrilling situations and emotional moments in a descent manner with his enormous experiences.But the scene right after the interval that resembles ‘Kakkakuyil’ could have been avoided. For such a thriller movie songs aren’t the right choices to fill the gap between occasions and happenings is what we felt even though the songs done by 4 musics team is all nice. Other than the performances and cinematography for an extend, background music saved the movie and preserved its pace till the end. This movie isn’t Priyadasrhan’s best or worst, it stands somewhere between a change and not going to change. Priyadasrahan-Mohanlal combo once gave a generation enough happiness and joy. Oppam is not a movie to be compared to those good old days and laughter they created with the mighty partnership they always maintained . “Such a posh flat lacks a cctv camera”??? Even though such types of questions arises Priyadarshan managed to keep the normal audiences engaging and thinking till the end. This could have been a different experience if the script was reworked again and again to its pulp. Oppam is a watchable flick of the master director-an experiment he almost succeeded in making.